When Keane hit it big a few years ago, I thought they redefined what Indie could be. In fact, if I had a blog then, I would have said: “Keane is redefining what Indie can be”…I think I even said it to a few friends. The piano riffs and moving melodies were a refreshing departure from the same old guitar-heavy junk we hear from every other band. Fast forward to their next album that I can hardly remember the name of because I found very little of significance on it. Sure, there were a few good songs, but I thought this was merely a sophomore slump– Keane’s own version of Weezer’s “Pinkerton” (I still get headaches remembering some of the songs on that one). I thought for sure that the third release would be a return to the majesty that was Hopes and Fears. Instead, we get Perfect Symmetry. Apparently, aforementioned un-memorable sophomore release made Keane think that they had to completely re-define themselves…and bring back the 80s. I hated synthesized piano in the 80s, and I hate it even more now. Has New Wave been gone long enough already that we can bring it back? Please tell me it hasn’t. 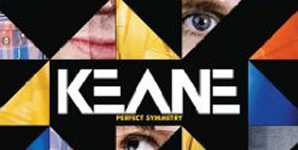 In songs like “Spiralling,” “Lovers are Losing,” and “Perfect Symmetry,” Keane resurrects the Shiny Happy People bounciness of the 80s, fully-equipped with Wham vocals and Duran Duran synthesizers. I swear “Better than This” was originally released by Culture Club. 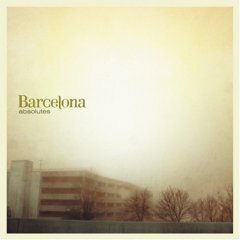 I’m only sad that I had to waste my free Rhapsody listens on this album.